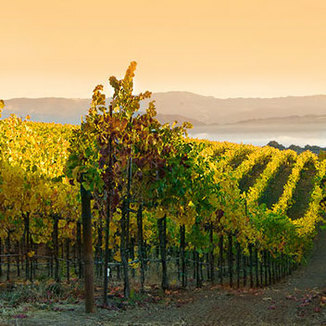 Today’s winery sells its wines exclusively to its own mailing list members…. and, luckily for you, to The Wine Spies! Remember that time, back in 2017, when we featured the previous vintage of today’s 97 point marvel? That wine also earned a 97 point score - but that wine also sold out before our eager Operatives could get in on the deal. This year, we talked Allen Estate into a larger allocation. 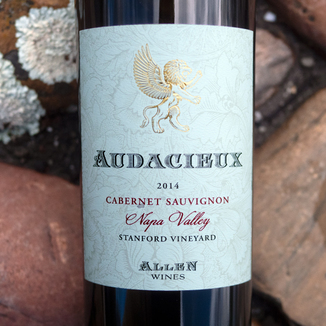 Today’s Allen Estate 2014 Audacieux single-vineyard Cabernet Sauvignon may last a bit longer, but we also predict a late-day sell out. Once again, we’re blown away by an Allen Estate Cab. This time around, though, we declare this to be the best vintage yet. In the glass, this Napa Cab is a bright red at the edge and so dark at the center it’s almost black. 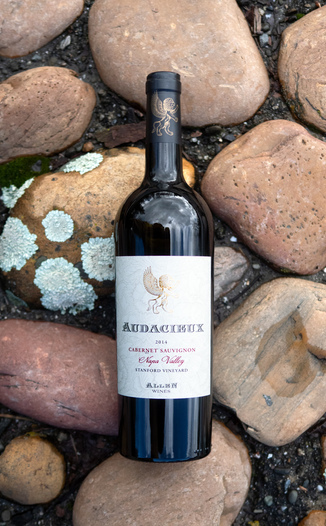 The nose is fresh and approachable, with spicy elements of potpourri and sandalwood, with a dried roses and hibiscus for a floral component with wild strawberry fruit. Boysenberry and black cherry take center stage after you take a sip. Plum and sun-dried tomato can be found as well with a bit of red peppercorn near the finish. Concentrating on the center of the tongue and the back of the palate, this robust wine provides an extraordinarily long finish. This would be perfect for a robust meal. Make it different with German bratwurst and kartoffelsalat (potato salad). This wine was made by our good friend (we litterally grill and drink wine together!) 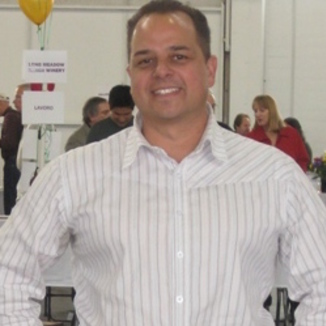 Chris Taddei. Chris makes his own wines, Taddei Wines and SuperSonoman, but he also makes wines for a small number of very fortunate wineries like Hensteeth, Geometry - and today’s Allen Estate. We’ve said it before about the wines of Allen Estate, and we’ll say it again - without hesitation, spoil yourself, Operative… you deserve it! Bright red at the edge and so dark at the center it’s almost black. Potpourri, sandalwood, dried roses, hibiscus, and wild strawberry. Boysenberry, black cherry, plum, sun-dried tomato, and red peppercorn. Concentrating on the center of the tongue and the back of the palate, this robust wine provides an extraordinarily long finish. German bratwurst and kartoffelsalat (potato salad).